We like to call this our ‘Turmeric-Two-Ways’ bundle pack! Ayurveda and celebrities agree about Turmeric. Turmeric has been used in Ayurvedic medicine and Indian cuisine for over 4000 years. Celebrities now enthusing over its benefits include Michael Caine, Daisy Ridley (Star Wars), Thandie Newton and Gwyneth Paltrow, who drinks her Turmeric as a brew. 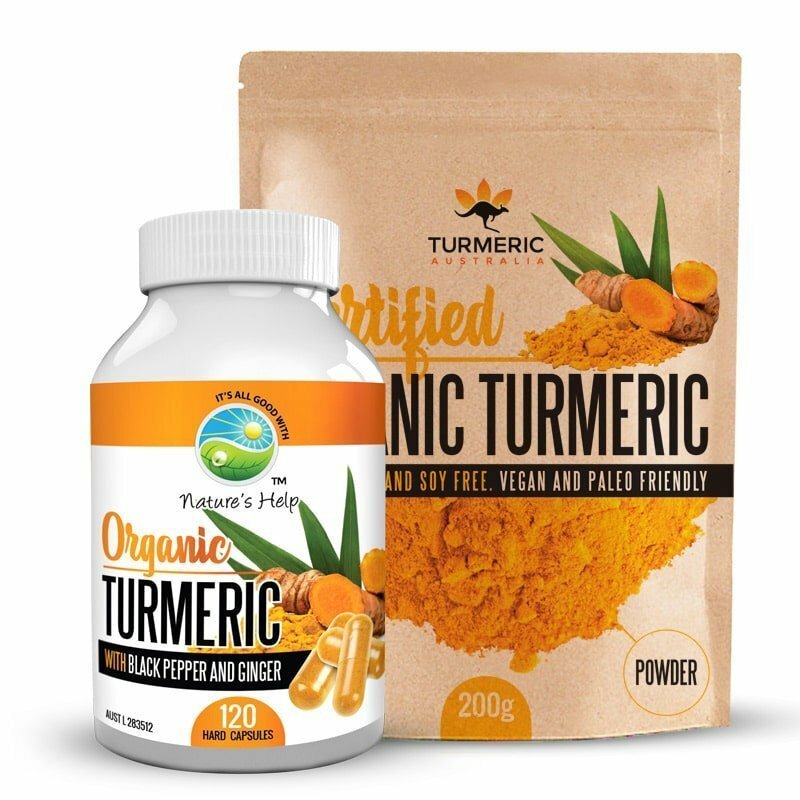 Organic Turmeric Powder from Nature’s Help is easy to take and easy to use. And it is the best way to treat your PETS with this powder, by mixing it with coconut oil, honey and water to form a paste.